Do you have your own blog? Are you getting regular traffic coming to your site to view your content? Or maybe you’re creating lots of new content but your audience isn’t engaging with it – even if you’re promoting it to your email list and through your social media channels. If you find you’re in this situation and you’re not seeing the results you would like, it’s time to look at spreading out your content to other channels to help you do some of the heavy lifting and drive more readers back to your site! One way to do this is using Apple News Publisher. If you’re not familiar with Apple News, it’s a news reader similar to Flipboard where you can easily view your favorite news sources, blogs and more from your iOS devices. With more than 1 billion iOS devices sold, how would you like to bring some of those users over to your site to read your content? In this article, you’ll learn how to publish to Apple News. This way you can start capitalizing on the large number of iOS users who will be using Apple News to read their favorite content. Let’s take a look at how to add your blog to Apple News Publisher. If you store passwords, login credentials or personal information you don’t want others to access in the notes app on your iOS device or in your emails, it’s time to make a change. Storing important data like this in an unsecured location can be trouble if someone gets your device. 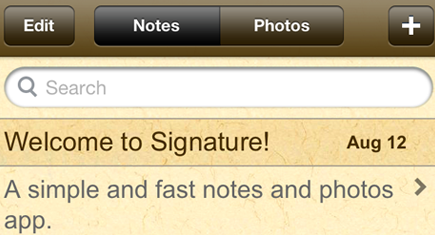 That’s why you should consider a secure option like the app, Signature-Secret Notes and Photos. While storing this information in apps such as notes or in your email makes it easy access sensitive information when you need it, if you ever lose your device or don’t have it password protected, someone can easily access this important information. So how do you make accessing secure data like passwords and login credentials easy and secure at the same time? Signature-Secret Notes and Photos. A lot of people who use tablets and smartphones often say that they’re only good for one thing – playing games. For the past few months, I’ve been using my devices for reading – not books, or articles from the Internet, but newspapers thanks to an app called PressReader. What is really neat about PressReader is that you can carry your favorite newspaper subscriptions with you in one convenient app. For example, I can download some of my favorites – USA Today, the Los Angeles Times, New York Post and The Washington Post (among others) and take them with me without carrying a huge stack of newspapers. So what else can PressReader do besides let me read newspapers? In the next few days, the roads and stores will be extremely crowded. In fact, AAA is expecting crowded roads this Thanksgiving and retailers are expecting Black Friday sales to increase 4.1 percent. Some stores such as Sears, Target and even Wal-mart are even panning to open on Black Friday Eve to capitalize on sales opportunities. If you’re one of the brave who plans to venture out over the holidays, it’s a wise move to take precautionary measures to protect your smartphone or tablet in case it gets lost during all of the hustle and bustle. Sure, you can store it in your pocketbook or keep it in your jacket pocket, but what do you do when those items get lost or stolen and you end up without your beloved gadget? Sure, you can go out and purchase another one, but that’s no fun. Not to mention, it puts a damper on the holidays. Instead, try these 3 ways to recover a lost smartphone or tablet. Now that you’ve purchased your first iOS device (iPhone, iPad or iPad Mini) and taken the time to import or add phone numbers and addresses to all of your contacts, one important area you don’t want to overlook is to add in your contacts Twitter username. Why add a Twitter username to your contacts? By adding a contacts Twitter username, this allows you the opportunity to easily view tweets from your friend right from your contacts. This also makes it easy to send your contact a tweet right from your contacts screen as well. Conventional wisdom holds that we use just 10 percent of our brain brain cells. That’s pretty surprising, considering all of the things we do on a daily basis such as checking email, staying connected with friends on Facebook and keeping out with our social lives. While one would think that we are working to train our brain during these tasks, in most cases, we’re not. Instead, we’re filling our heads with tasks that drive us off track and keep us from really using our brain cells. What can you do to help train your brain? To help train your brain there are a lot of things you can do. The most important one is to keep it busy. This doesn’t mean to create a long to-do list and to get to work. Instead, to train your brain, give your brain things to do that will keep it busy. If you’re like 51% of the population that has a smartphone, you might want to consider putting yours to better use. While these gadgets help us do lots of things between email, the Internet, social networks and games, there’s a bigger use for them – training your brain. Smartphones can in fact be a great tool to help train your brain. We’re not talking just playing any old mobile game though (like Angry Birds), we’re talking about games that can help you train and stimulate your brain (and be fun at the same time). By now, hopefully you have upgraded your iOS devices to iOS 6. Not only are there a lot of new features (like Apple Maps), but there are also some hidden gems, such as ad tracking. Ad tracking is a way for advertisers to track your iPhone, iPad or iPod Touch. Fortunately though, Apple has added in the ability to limit ad tracking on your iOS 6 devices. – you just need to turn it on. I’ll be honest – I LOVE my Apple iPad. It’s great for checking emails and of course playing games, watching movies, reading books and magazines and pretty much anything else you want to do. One thing though that it’s not so good at – browsing the web. What I mean is that while surfing the web works well, there are a few nuisances. For example, have you ever tried to access a website only to be redirected to a mobile version that is missing a feature you need and with no way to get to the desktop version? You would think that heavily trafficked websites would give users the option to choose if they wanted to use the full website or the more restricted mobile website, especially on an iPad. For me, this is unsatisfactory because it limits us in what we can get done from this device. A second example where browsing the web falls short is when trying to use social networks like Facebook. Plainly put, some features, such as sharing don’t work via Facebook’s mobile app. This also holds true for anyone who uses Facebook Groups and wants to upload individual or multiple photos at a time. It can’t be done – even with any of the photo uploading apps such as PhotoLoader HD – which only upload photos to a profile or a page. Lately, I’ve been doing a little cleaning around my office. Stacks of papers, magazine articles I’ve meant to read but haven’t yet gotten to, even business cards that I’ve collected from people I’ve met at past conferences. Over time, it adds up and eventually, can overwhelm us and make it difficult for us to get things done because we end up spending more time searching for things in those stacks rather than getting things done. To help me better organize my life, I’ve started going digital. Digital music, books, receipts, and even magazines. While it is easy to sign-up to start receiving digital books or magazines, what do you do with all of the countless papers that you’ve collected? Fortunately, there’s an app that I’ve found that has helped me streamline things. It is called Turboscan. Think of it like a personal scanner without the bulk that you can carry with you.